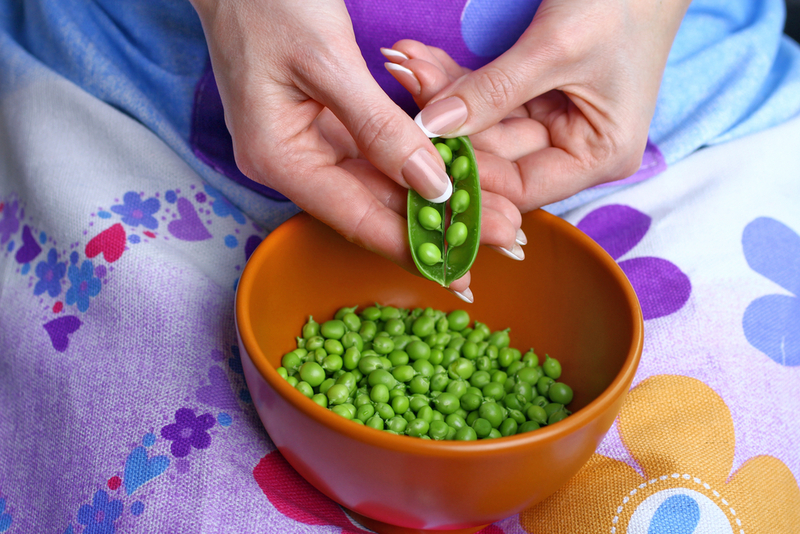 The power of peas: tiny but nutritious! With their beautiful dense green colour, fresh peas are at their absolute best right now. There are many varieties of peas to choose from plus there’s always the ‘fresh or frozen’ question to debate! Peas are a really popular vegetable in the UK with some sources estimating a whopping 9,000 being eaten by the average person a year! Unlike many of our fruits and vegetables, peas are actually grown in the UK with around 35,000 hectares given over to their farming. 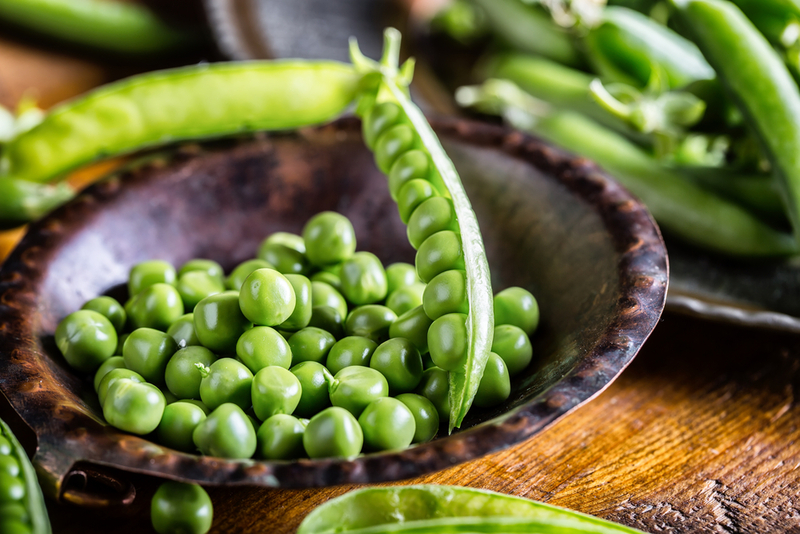 The most common types of peas, other than those taken out of the pod, are mange tout (also called snow peas) and sugar snap peas. They are members of the legume family. Garden peas have firm, rounded pods that need to be removed and discarded before eating the peas inside. Garden peas are naturally quite sweet and get sweeter and starchier the larger they get. Conversely, snow peas are eaten ‘whole’; also known as Chinese pea pods, they are often used in stir fries. 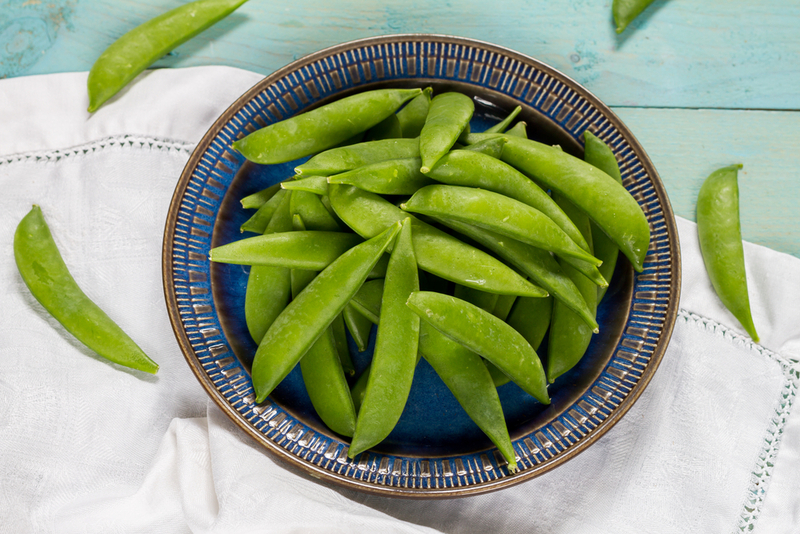 Sugar snap peas are actually a cross between snow peas and garden peas. The whole pod is eaten either raw or cooked and they have a crunchy texture with quite a sweet flavour. Since all these peas are from the same legume family, their nutritional highlights are also fairly similar. They provide a rich source of thiamin or vitamin B1 which is great for energy production and the heart, and are also high in vitamin C. Plus, peas provide a good source of protein, hence they are used to produce protein powders which are particularly popular with vegetarian athletes. Peas are high in folate which is key in brain development and energy production; pregnant women certainly need higher levels of folate in their diet. They are also high in fibre so they are great to include in the diet if you want to keep your bowels in smooth working order. The first peas were frozen by Clarence Birdseye in the 1920’s and Birds Eye Foods still have the most market share of frozen pea sales today! 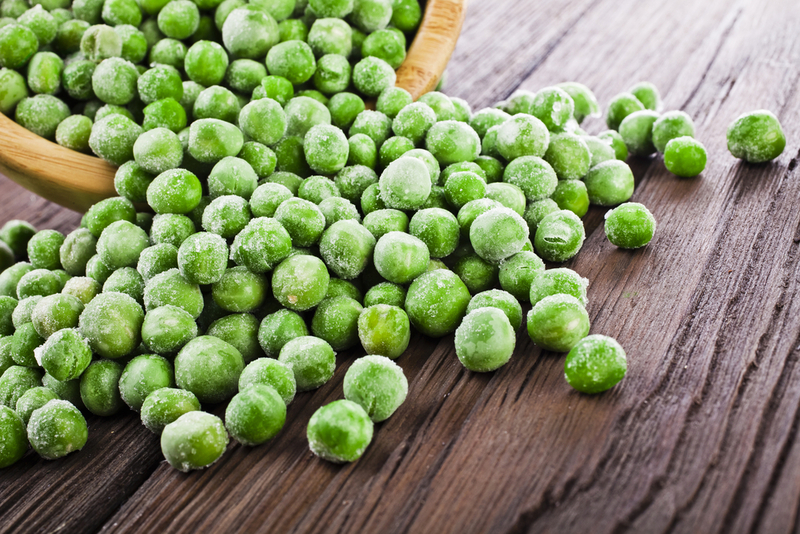 Many people prefer to eat frozen peas rather than fresh because once peas have been harvested they undergo chemical changes quite rapidly. The natural sugar in peas is quickly converted into starch which can make their texture tough to eat and less digestible. However, the freezing process is normally done very quickly after harvesting which both locks the nutrients in plus makes them more tender to eat. The other great benefit is that frozen peas require absolute no preparation! They’re readily available for curries, soups, casseroles, risottos or just as a delicious vegetable side with some melted butter and chopped chives. Another question that’s often posed is regarding the nutritional content of tinned peas. Unfortunately, they do lose more of their nutritional value in the canning process and they can often be high in sugar and salt. So they are not the ideal pea choice! As with any fruit or vegetable, cooking with as little heat as possible is always better. This is mainly because vitamin C is so easily lost in the cooking process. Therefore, steaming is always recommended or cooking in a just a small amount of water. People can often get confused, quite understandably, around the differences between peas and pulses. This is mainly because of pulses called chick peas or black-eyed peas! Peas are actually legumes and whilst pulses are part of the legume family, they actually refer to the dried seed. Various beans, such as soya, lentils and chickpeas, are probably the most common types of pulses. 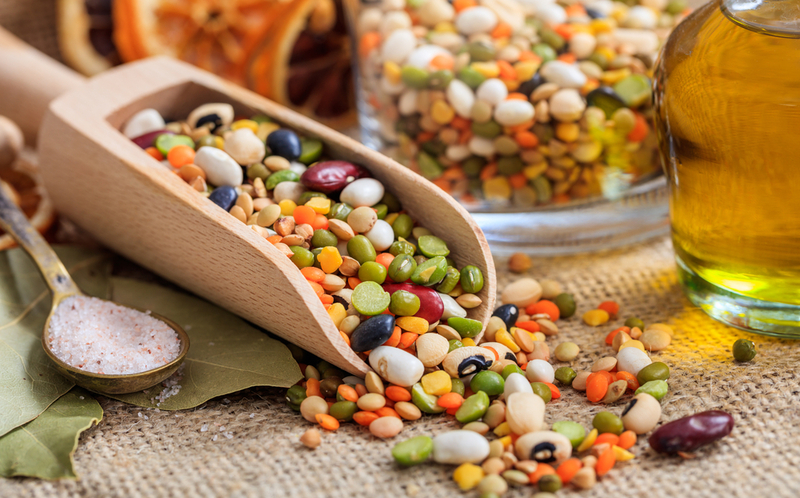 All pulses have good amounts of protein but don’t contain all the essential amino acids, hence they need to be combined with grains to get everything the body needs. So there we have peas in a nutshell (or more correctly a pod!) They are a great go-to vegetable and if you’ve got some in your freezer all year round, you’ll never go without your daily greens!